Fools, misfits and miscreants of the earth! What have you being doing with your time? Eating big piles of chipped potatoes? Watching substandard football on TV? 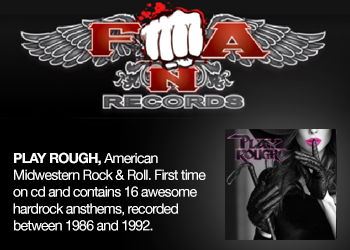 Erroneously imagining the non-riff-based travesty that is modern rock music to be exciting? People, it is as if you have existed only in pathetic colours like beige, or pastel pink. For two years, you have felt listless, wishy-washy and largely kicks-free. Bad! 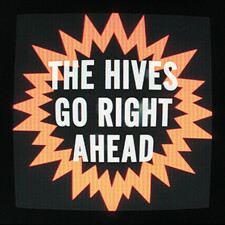 But it has been bad for a reason: so that you fully appreciate the return of the good times. And these only come in two colours: BLACK & WHITE! Yeah! 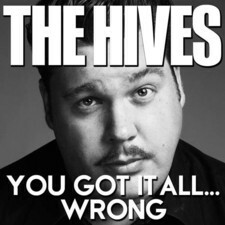 THE HIVES, the curators of that perfectly balanced colour scheme, have been away far too long. During their absence, they have not been mucking about, oh no. 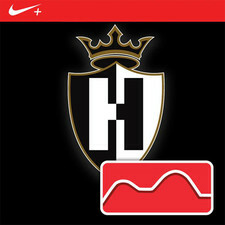 They are now ready to bring the BLACK & WHITE again, only more so. 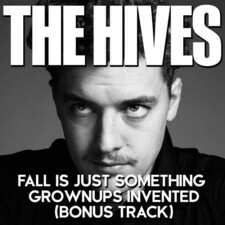 THE HIVES have made a record which has everything that you originally loved them for – kicks, riffs, good times, etc etc etc – while also being snazzy and new and longer and generally different from everything they did before. 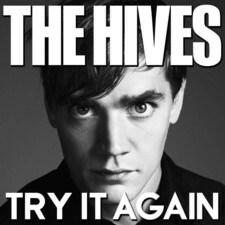 You might almost say it’s like making the transition from monochrome TV to colour TV, except THE HIVES are more BLACK & WHITE than ever, so that would be misleading. 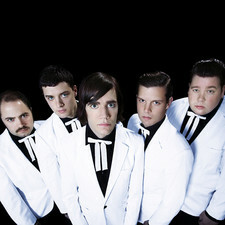 That’s why the record is called: ‘THE BLACK & WHITE ALBUM’!! 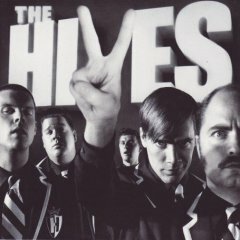 To recap: THE HIVES first imposed their B&W vision in the late 1990’s, touring Sweden (their home nation) and Germany like crazy, until 2001, when they took the world by storm alongside strapping young rockers like The Strokes and White Stripes. 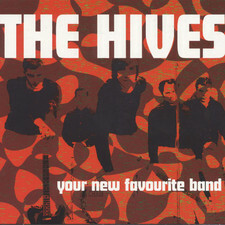 Their first 2 records were collected on a British compilation, called ‘Your New Favourite Band’, which went not silver, gold or even multi-platinum, but diamond! Yeah! 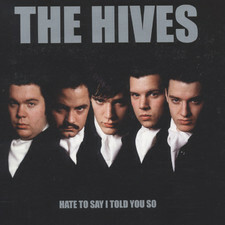 From it, came the hits ‘Supply And Demand’, ‘Main Offender’ and ‘Hate To Say I Told You So’. 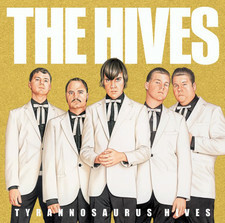 With 2004’s ‘Tyrannosaurus Hives’, they successfully patted down the earth around the flag they’d placed atop this measly globe, consolidating their repute for rockin’ brouhaha with further hits – ‘Walk Idiot Walk’, ‘Two-Timing Touch & Broken Bones’ and ‘A Little More For Little You’. Without even THE HIVES knowing it at the time, the first seed of Phase 2 Hives was sewn during the ‘Tyrannosaurus…’ era, when they met Pharrell Williams – the Numero Uno production dude from the kicks-hungry world of hip hop. Pharrell may come from the state of Virginia, and THE HIVES from Fagersta, Sweden, but when these two giants of modern entertainment came together, the union of their differing talents worked like magic, setting ‘THE BLACK & WHITE ALBUM’ – yeah! yeah! – on its long and unwavering path towards massiveness. “We assumed he’d have all these synths and beats,” sez HP, “but he has all this enthusiasm for rock music, because he only just discovered it. We started talking about Creedence Clearwater Revival, and he was going, Hey, I saw them on an infomercial last night, they sounded great! We’ve been listening to Creedence since we were kids. 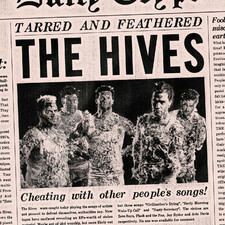 In the past, THE HIVES’ unrivalled excellence has been achieved via a pain-staking collective process, whereby the 5 members have lovingly slaved over songs in rehearsals, and in the studio, often for many weeks, until all 5 were 100% satisfied that it rocked in exemplary fashion. Pharrell’s methodology was the exact opposite. 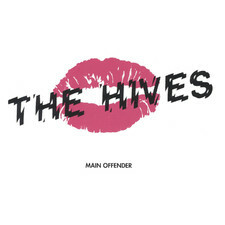 With the 21st-century disco-fied ‘We Rule The World’ and the woo-hoo rockin’ ‘Well, Alright’ under their belts, THE HIVES rounded up a considerable batch of demo tracks in Fagersta, and soon hooked up with another blade whose hotness as a producer equals theirs as a band, Jacknife Lee (U2, Editors, R.E.M. 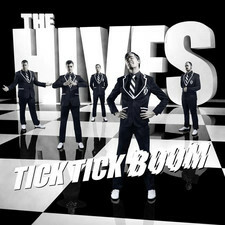 ), who brought his hi-tech skills to ‘Hey Little World’ and an early version of ‘Tick Tick Boom’. From there, the 5 Swedes zipped over to Oxford, Mississippi, where they spent some weeks carving out the rest of ‘THE BLACK & WHITE ALBUM’ (say it again: yeah!) with Dennis Herring – another ‘man of the moment’, whose credits include Elvis Costello, Buddy Guy and the last two Modest Mouse records. 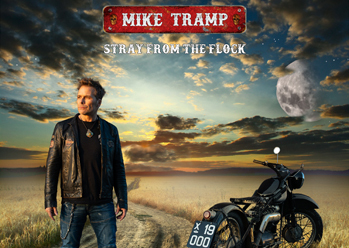 For a band who’d never hired a producer before, his methods, again, came as quite a shock. 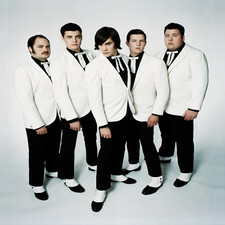 Howlin’ Pelle: “In the South, it’s all slow. At times, the temperance and efficiency of us Scandinavians didn’t gel with the old Jamaican attitude of the American South. Like, there’s nothing you can do today, that can’t be done tomorrow. But this had an impact on our sound. Some stuff was better because we took longer. Yeah! 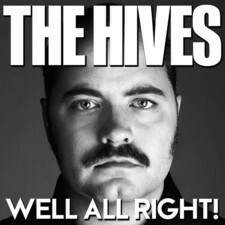 It’s no coincidence that ‘THE BLACK & WHITE ALBUM’ is Dr Matt Destruction’s favourite Hives record – he’s the bassist! 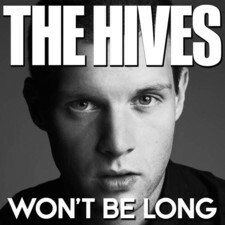 But it will almost certainly end up being most people’s favourite Hives record, because it’s all about opening out the band’s horizons – including the lengthening of how long each song lasts. Damn right, HP! 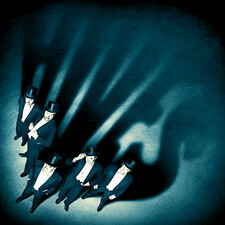 When Vigilante Carlstrom, THE HIVES’ other guitarist, came up with the title for the record, all were agreed – even drummer Chris Dangerous – that it brilliantly encapsulated the mood of confidence in the record. 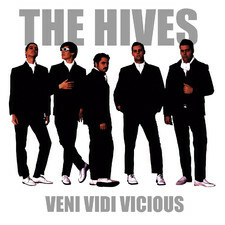 THE HIVES are now ready for global supremacy. 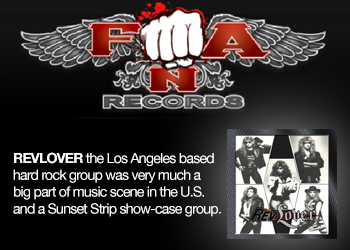 Back in action lately at the notoriously red & white 100 Club in London, they imposed a BLACK & WHITE regime so emphatically, that one UK newspaper breathlessly reported: “They used to be our new favourite band, now they’re the best band in the world”. Yeah! And one last time: Yeah!